Welcome to the office of Clintonville Dentists, Eric Fink, DDS and Thomas Niederhelman, DDS! 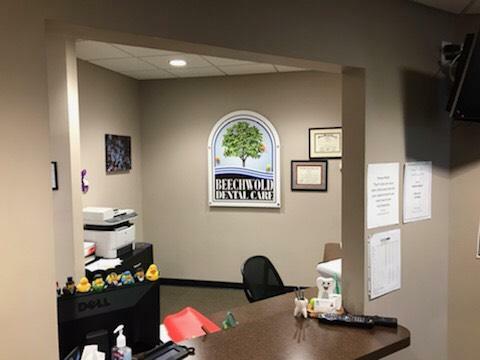 Since 2011, our experienced dental team at Beechwold Dental Care have been helping our patients receive exceptional dental care in Clintonville, Ohio. Dr. Erik Fink and Dr. Thomas Niederhelman work within the greater Columbus area, Clintonville, Dublin, and the surrounding communities, to change the lives of our patients. The entire Beechwold dental team strives to provide the very best in state-of-the-art, personalized care that will enhance the beauty and health of your smile. We welcome you to our practice and look forward to building a lifelong relationship as your family's dental care provider. We advocate for an integrated approach to dental care and work hard to inform patients about the importance of dental hygiene and the effects of dentistry on your overall health and well-being. From general dentistry and cleanings to cosmetic dentistry and implant services, we want to help you maintain your beautiful smile as long as possible, so you can still enjoy the benefits of your visit to our Clintonville OH state-of-the-art dental office for years into the future. Please browse through our website and be sure to give us a call at (614) 396-8650 if you have any questions or would like to schedule an appointment! I feel more confident about myself and very satisfied with my visit. They were extremely professional and experienced. I am very pleased with my new smile. I will highly recommend anyone to visit Beechwold Dental Care!